REUTERS/Shannon StapletonVisa and Mastercard? 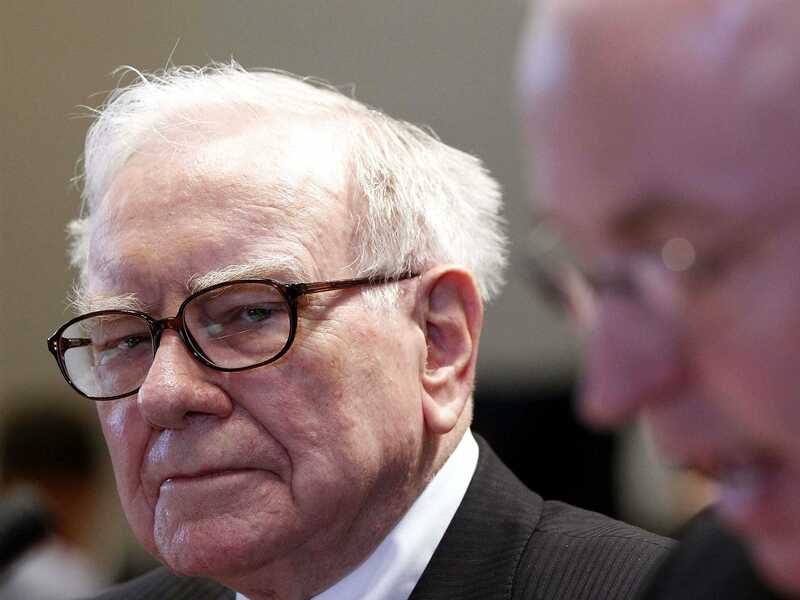 Warren Buffett is looking at you. Warren Buffett’s Berkshire Hathaway just released its latest 13F filing with the SEC, giving an update of its holdings as of September 30. Among the holdings that Buffett increased were his stakes in credit card giants Visa and Mastercard, as well as IBM. A 13F requires funds to disclose their long positions within 45 days of a quarter’s end, and so Friday’s filing represents Buffett’s holdings as of June 30. Buffett increased his stake in Mastercard by 16% bringing his holdings to more than 4.7 million shares, while increasing his Visa stake by 19% to more than 2.1 million shares. Buffett added just 0.4% to his IBM stake. Buffett didn’t add to subtract from his largest holdings including Wells Fargo, American Express, or Coca-Cola during the third quarter. Buffett’s biggest increased holding, on a percentage basis, was Charter Communications, as Buffett more than doubled his holding in the company to more than 4.9 million shares from around 2.3 million as of June 30. Some of the notable decreases were from Buffett’s holding in ConocoPhillips and Phillips 66, while Buffett sold the remainder of his stake in farm equipment maker John Deere.